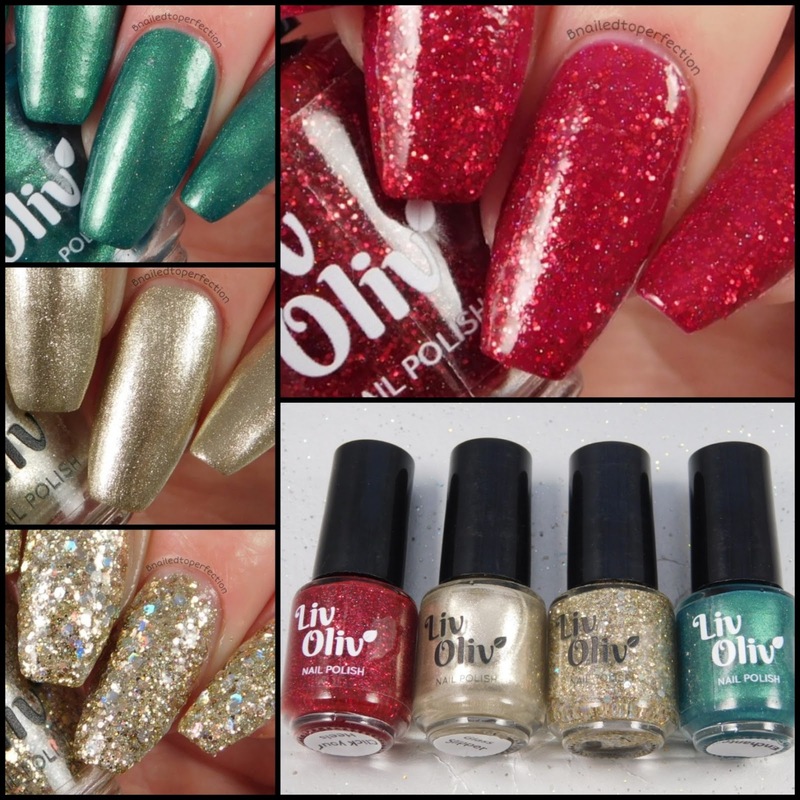 I have some gorgeous polishes from a new to me UK indie polish brand! 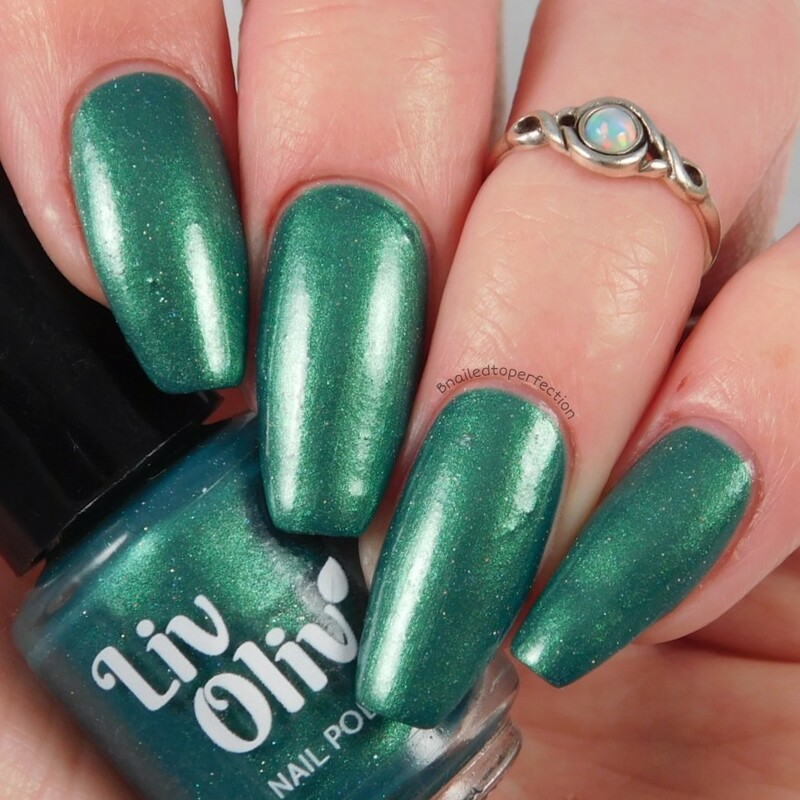 Liv Oliv is a family run business based in the UK that makes cruelty free, non-toxic and vegan cosmetics. Today I have swatched some nail polishes and I did a few nail art looks with them on last Friday's post. 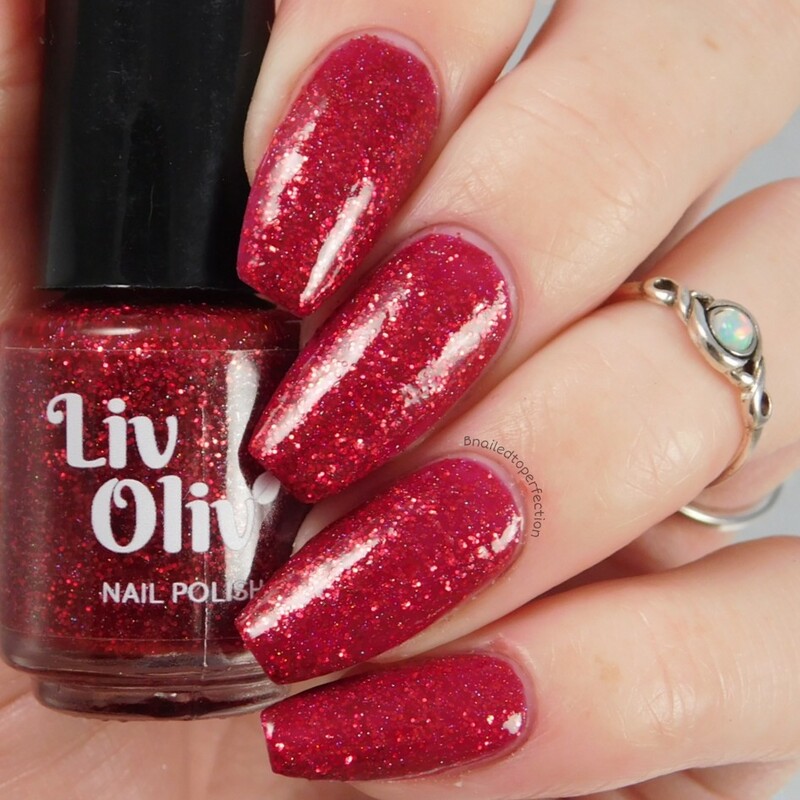 First up is Click Your Heels which is a stunning deep red with tons of sparkle. It's name is absolutely perfect as it just reminds of Dorothy's shoes! It is a jelly based polish but was opaque in two coats! 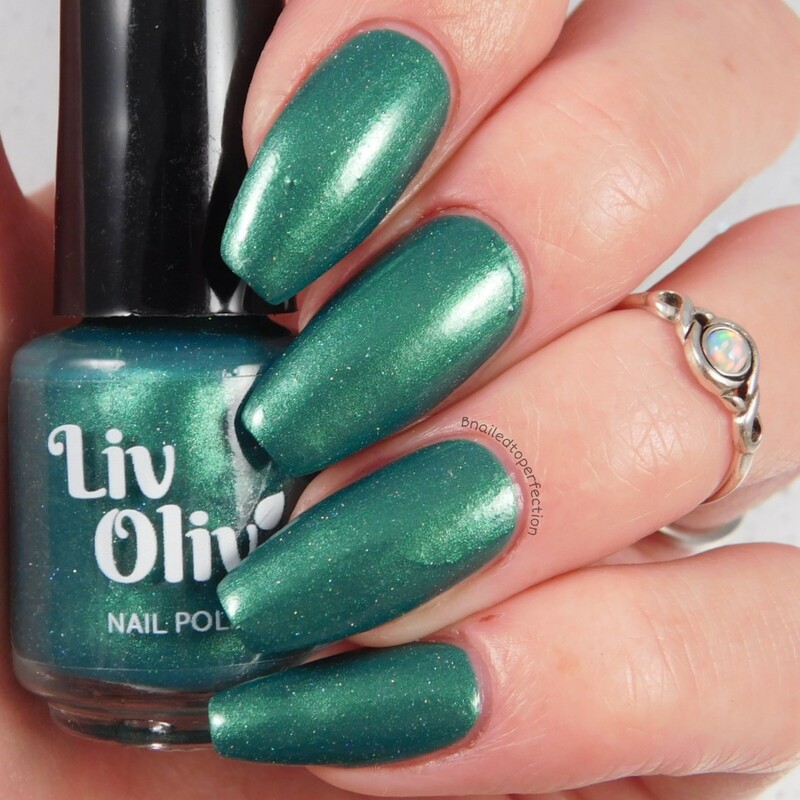 Enchanted Evergreen is a lovely dark green with a sprinkle of holo glitter. Another two coater! Glass Slipper is a bit luxurious as it's made with actual sterling silver!! How cool is that?! I did use three coats for this one as it was a bit more sheer than the others. 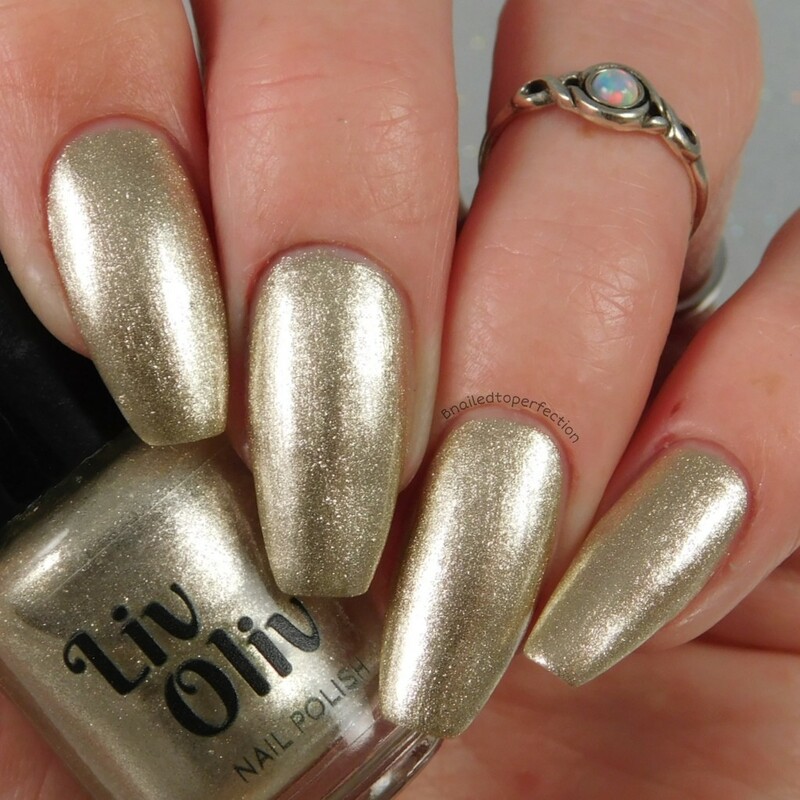 OMG how glittery is Orion?! I applied one coat and then sponged on two coats for ultimate glitter pay off and boy that is some good pay off. 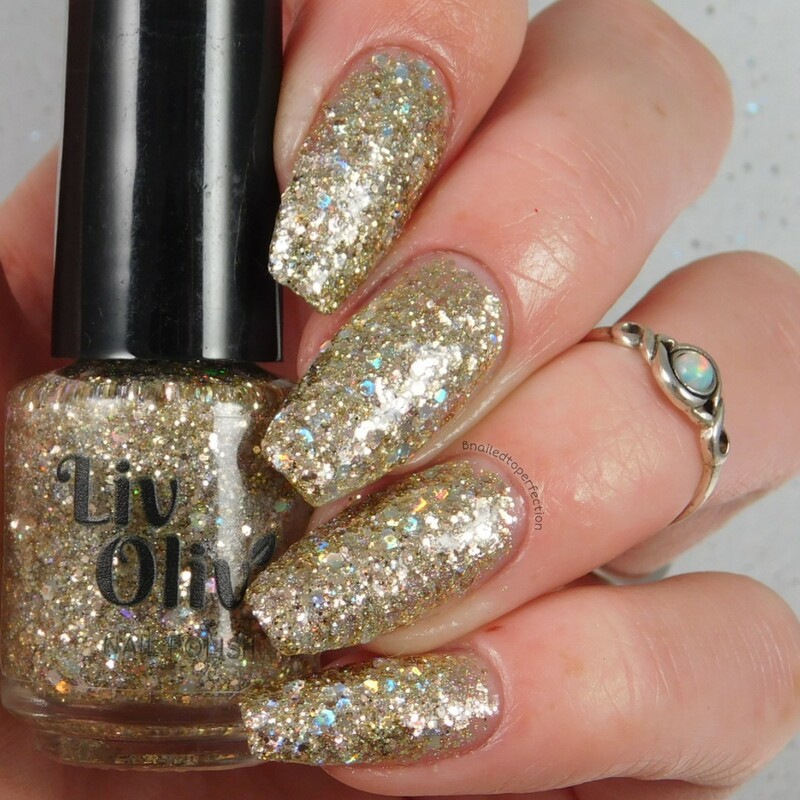 This is a ultra sparkly gold glitter polish. Love how it has the bigger glitter hexs in there. I was super impressed with these polishes. They all applied really well and also dried super quick! As there are no chemicals, there no nasty smell either. I have come to love this about indie polishes! 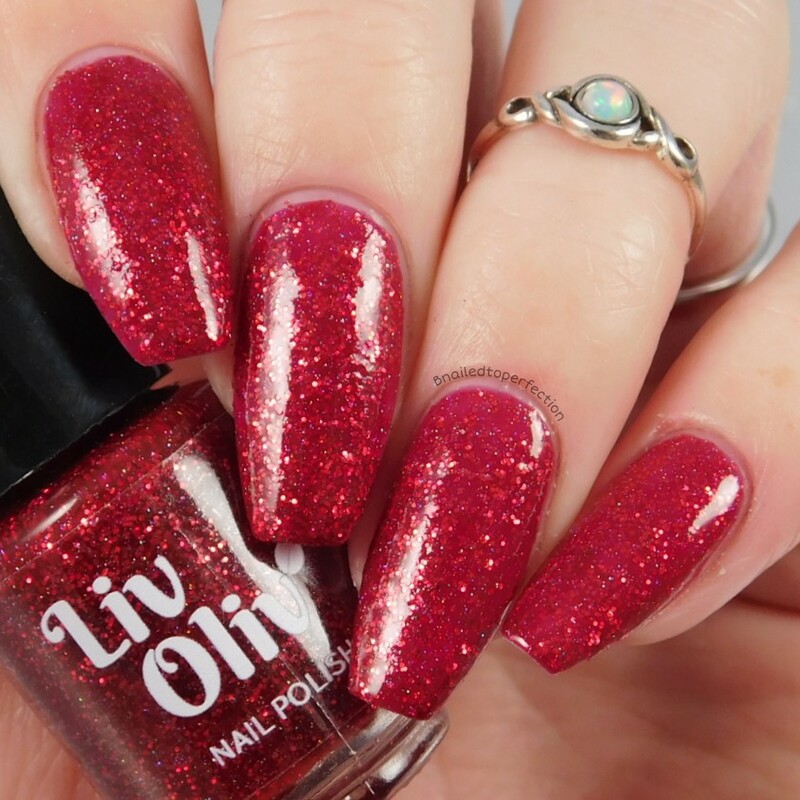 Polishes range from £4.99 to £9.99 as minis are available and there's also hand cream and cuticle oil. If the polishes are anything to go by, I'm sure all the other items will be brilliant. 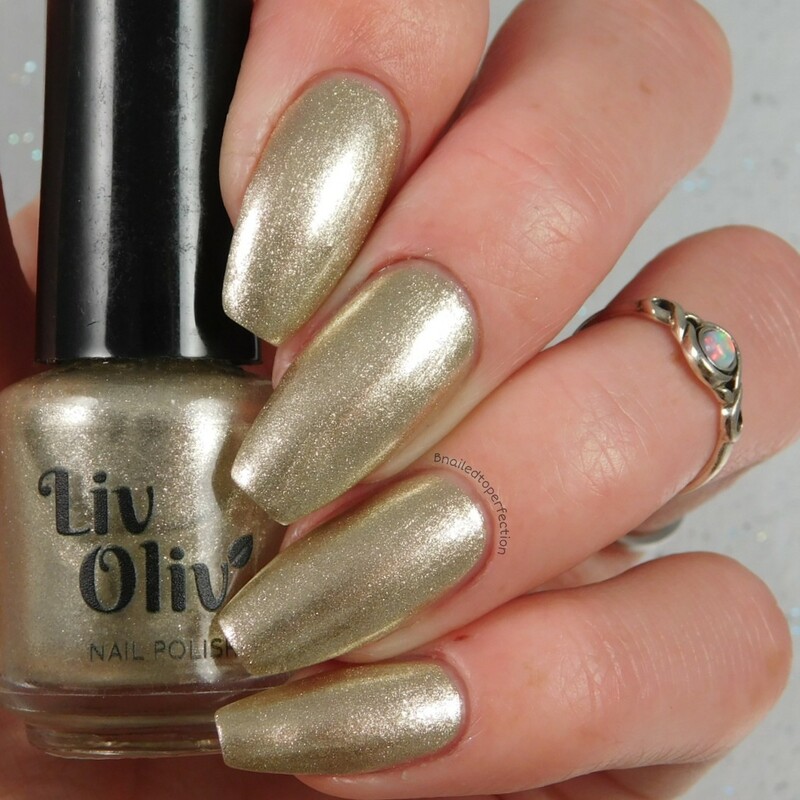 Make sure you go follow Liv Oliv on the below social media channels.